Former head of the German Social Democrats Sigmar Gabriel warned about “Europe’s farewell to world history” as he spoke about the challenges Germany and its EU neighbors face, addresses the bloc's underperformance in its rivalry with China, as well as disagreements with the US. 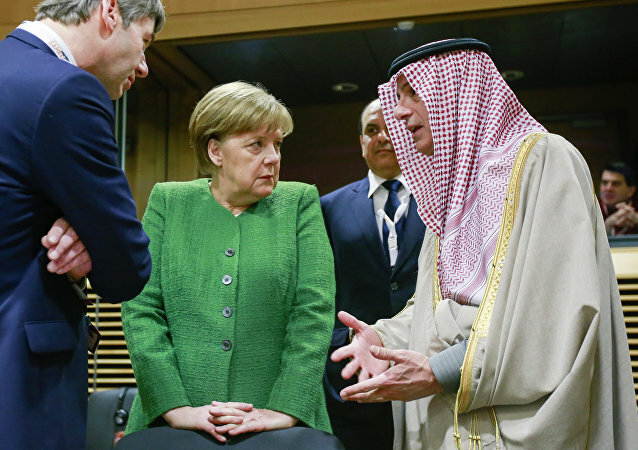 BERLIN (Sputnik) – Berlin has not received any indication from Riyadh that Saudi Arabia intended to diminish its cooperation with German companies, German Foreign Ministry spokeswoman Maria Adebahr stated Monday, commenting on media reports about Saudi Arabia engaging less in contracts with German firms. The German tabloid Bild lashed out at Sigmar Gabriel for the speech he made after leaving the post of Foreign Minister. According to the politician, he is for a "balanced German attitude" towards Russia. 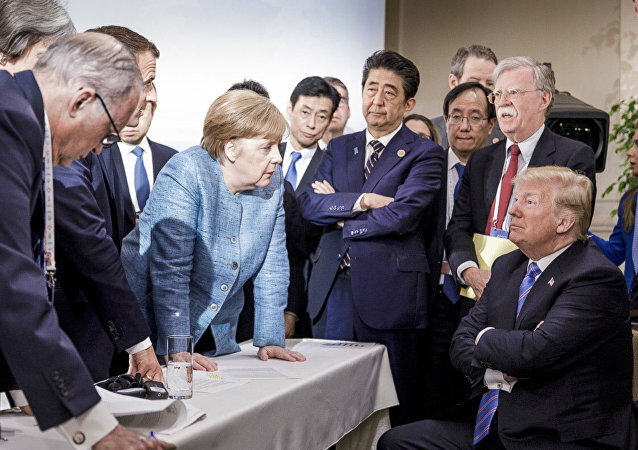 Only five of the North Atlantic Treaty Organization's 29 member countries last year met the alliance’s goal of spending at least 2 percent of their gross domestic product on defense. 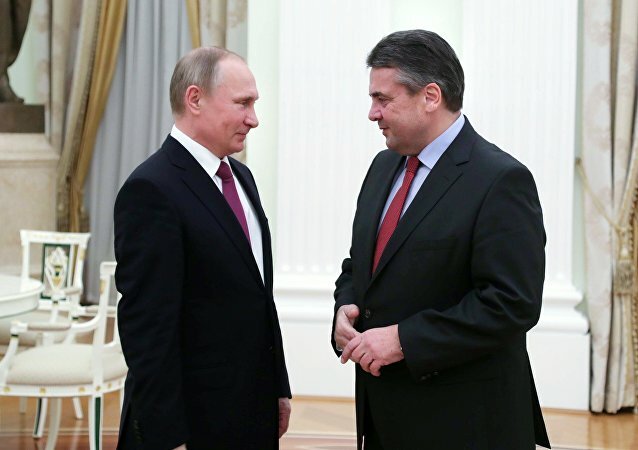 MOSCOW (Sputnik) - German Foreign Minister Sigmar Gabriel said Thursday that he will not be a minister in the country’s new government. German Chancellor Angela Merkel's Christian Democratic Union (CDU)/ the Christian Social Union (CSU) bloc and the Social Democratic Party (SPD) have managed to clinch a coalition deal amid reports that SPD leader Martin Schulz may take the helm of the country's Foreign Ministry. Washington's Nuclear Posture Review (NPR) 2018 is a double-edged doctrine, as it seeks to prevent North Korea from assertive actions, but could at the same time prompt other state actors to follow in the US’ footsteps and kick-start modernizing their nuclear arsenals, Japanese scholars told Sputnik. 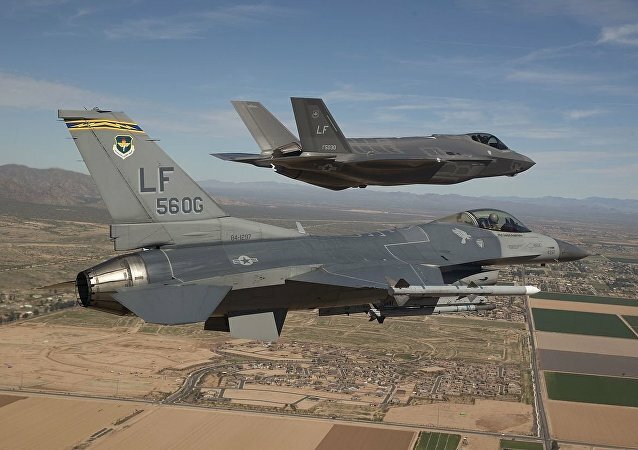 Commenting on the nuclear posture review recently released by Washington, the diplomat said Sunday that the decision is likely to result in a deterioration of the global security situation. TEL AVIV (Sputnik) - Israeli Prime Minister Benjamin Netanyahu received German Foreign Minister Sigmar Gabriel in Jerusalem on Wednesday, following the cancellation of a scheduled meeting with the German top diplomat in April over the latter’s contacts with a pro-Palestinian rights group. BERLIN (Sputnik) - German Foreign Minister Sigmar Gabriel has asked NATO Secretary General Jens Stoltenberg to put the situation in northern Syria on NATO current discussion agenda, the German Foreign Ministry said Thursday. 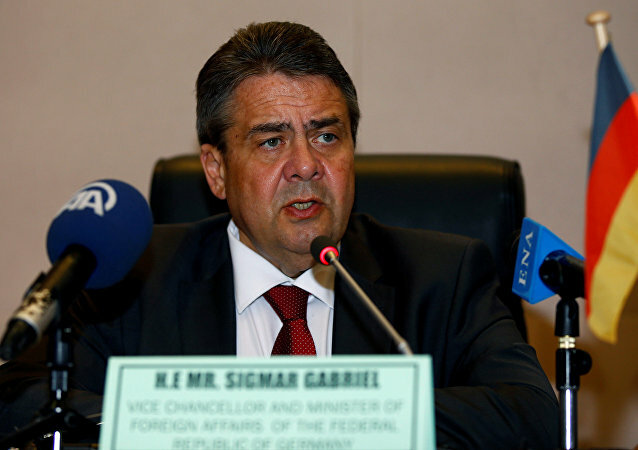 German Foreign Minister Sigmar Gabriel said that Iranian Foreign Minister Javad Zarif will be invited to visit EU next week.